You have crossed the point of no return when you can’t find a single MP to chair your parliamentary group, who can pass a simple background check and have their tax returns check out. The second most powerful person in GERB, Tsvetan Tsvetanov was at the heart of the scandal, which revealed that he had acquired a luxurious apartment for a fourth of the market price from a notorious real estate development company, Artex, seemingly in exchange for political protection and favors. 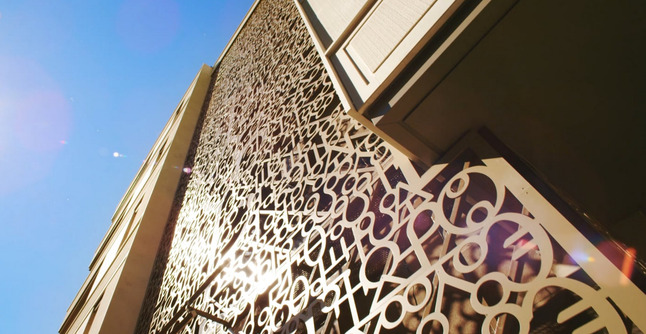 Artex’s most ambitious project, an over 30-story building in the heart of one of the most expensive districts of Sofia, Lozenetz, received some much needed substantial political and institutional backing in order to carry on with the project. Along with Tsvetanov, three other high-ranking officials form GERB were discovered to also benefited greatly from similar exclusive deals. 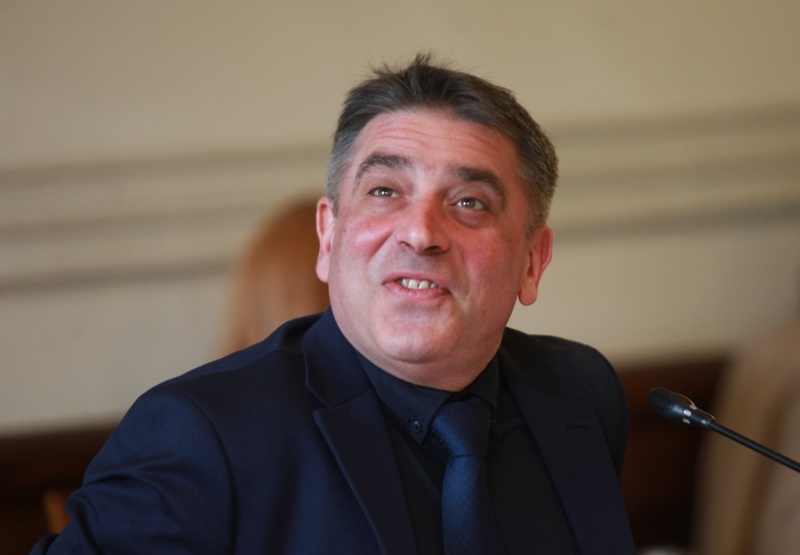 Tsvetanov and the other three resigned from public office – Tsvetanov was chair of GERB’s parliamentary group – but Borissov’s Number-Two kept his other key GERB posts, deputy chairman of GERB and he will also keep the rather sensitive job of heading GERB’s election campaigns. When GERB had to name Tsvetanov’s successor as chair of the parliamentary group, it took the media about a day to discover that Daniela Daritkova had failed to include a Jaguar in her tax returns. An honest mistake, she called it. Another mistake has been occupying most headlines for the past week. None other than the head of the Anticorruption Commission, Plamen Georgiev failed to declare his properties correctly continuously over a number of years (an honest mistake) and his property deed for his three-story pent house contained incorrect or illegal information, depending on how you look at it. The pent house is complete with a 186 square meter roof terrace with a sauna, and a barbeque. But the roof itself under Bulgarian law cannot be private property, its ownership is shared among all owners in the building. But the roof was part of his property deed and he had declared it to a bank against a mortgage. Then Georgiev said he did not own the roof-slash-terrace and that the ownership is shared. The bank came out with a statement that the documents for the mortgage didn’t include the problematic space. 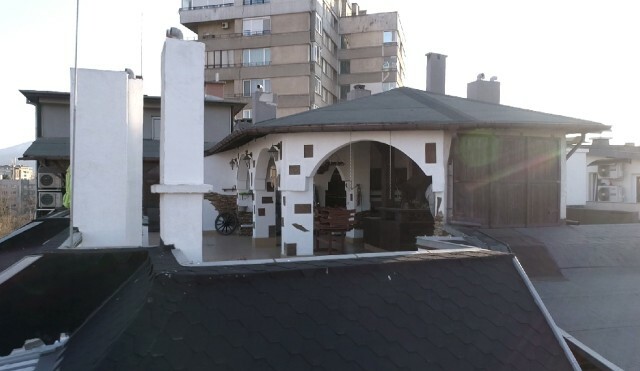 It is unclear how that could be, as the key document here would be said property deed, which states the three-story penthouse possesses a 186 square meter terrace. A legal conundrum, but a result of a purely innocent oversight, according to Georgiev. It took him about a day to issue a new property deed with the ‘correct’ numbers. He lashed at journalists at any questions concerning the issue and blamed the whole thing on a kompromat war, waged against him by his enemies. Namely, individuals with ongoing inquiries by the Anticorruption Commission. Georgiev was just as agitated and incoherent in his responses to questions about how he acquired the property, as was Tsvetanov before him. The Anticorruption Commission is а blunt example of a state institution, used almost exclusively to political ends. The commission is a rather curious structure as far as it is a normal administrative body, not a law enforcement agency, but at the same time possesses law enforcement capabilities: it investigates and attaches assets of individuals whenever it suspects they might have been acquired unlawfully. The commission practically answers to no one, while the criteria by which it decides there is need to open an inquiry into someone or attach their funds is so ambiguous it practically leaves the question to the commission’s judgment at the time. This is why it is not a surprise that the people, who become targets of the commission are opposition politicians, media and other inconvenient agents. People and groups, close to GERB never find themselves under the commission’s radar. This is disturbing enough but having the head of this institution, whose purpose, at least on paper, is to investigate and tackle possible conflict of interests, corruption and the like, in a position to have to be investigated by that same institution, is grotesque. Protests were held demanding his resignation and questions continued to be asked. It is noteworthy that none of the parliamentary groups or even individual MPs dare to take a stance in what seems to be a no brainer: should the head of the anticorruption commission resign, given his predicament? It is noteworthy, indeed, but hardly surprising, given Georgiev’s effectiveness as the heavy artillery at the frontlines against any force not convenient to GERB and its allies. But still, a case should be made that Boyko Borissov is at his wit's end and this scandal just might prove to be GERB’s undoing. The cheap apartments scandal with high-level state officials and GERB figures is going on its full third week and is now showing definite potential to prove GERB’s undoing. This over-decade long governance of Boyko Borissov and his entourage of shady companies, dependencies, and dealings, through which the country is undeniably a captured state, might begin to crack. GERB’s approval has dropped significantly and the public and opposition are coming to realize that what has been uncovered is only a glimpse into GERB’s intertwinement with companies and individuals and the hidden cooperation between them. The only recipe Boyko Borissov knows – or can afford to use – is resignations. This is the only damage control he knows, it is practically his trademark. He explained something to that effect to journalists but this time the public seems unimpressed: as always, these resignations are theatrical at most. With regards to Tsvetan Tsvetanov, he is not going anywhere, and his resignation is nothing but an empty gesture. But Borissov cannot really afford to remove anyone – especially Tsvetanov -- in real terms as such a move would bring the party down, along with him. His hands are tied but the polls finally reflect a real problem for GERB. 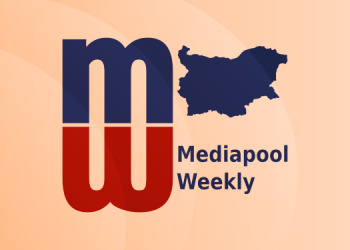 Over the past week, he tried several PR tactics, which usually work for him: to try and move the public’s attention to ethnic issues (a go-to PR remedy for almost anything in Bulgaria) but that did not budge. Then a story that he was receiving death threats emerged, as did another about Plamen Georgiev. Nothing. Instead, though, another ‘honest mistake’ was discovered in another property deed for another apartment, owned by Georgiev and his wife. The Chief Prosecutor said he will open an inquiry into Georgiev and the head of the commission announced he will take a leave of absence in order ‘not to get in the way of the investigation’. Apparently, resigning the post at least for now is out of the question and Georgiev will go away to wait for the storm to pass. But only for the time being, as a plan “B” seems to be in the works: GERB introduced an amendment to Parliament Friday that would drop the requirement for the head of the Anticorruption Commission to hold a law degree. There is no apparent reason for the change except if GERB has eyed a possible replacement for Georgiev, who does not fulfill this requirement. In the meantime, protests against the controversial building in Lozenetz restarted. All the institutions, which last week bent over backward to claim the company had a valid permit to build, suddenly realized its permit has since expired. A fact that citizens and experts have been alerting about for years with no effect. The whole two first weeks of this scandal were packed with various institutions claiming Artex’s permit is in order. In fact, it expired in 2017, GERB passed an amendment to extend the validity of these permits, and one deputy minister wrote an official letter the amended (post-factum) law should be applied with regards to Artex. Now officials suddenly realized what they have been firmly arguing against: that the law cannot be applied in such a way and the letter containing the deputy minister’s direction has no legal value. Borissov cannot go too far beyond this without stepping on his own toe; this scandal is obviously far beyond his damage-control capabilities. The public is not satisfied in the least and there is no indication it will drop the case anytime soon. According to the most recent polls, GERB has dropped several points as a result of this scandal and currently leads the largest opposition, the Bulgarian Socialist Party by less than a percent. GERB will have a lot to prove in the upcoming European Elections, but even more importantly, is facing local elections in the fall, while revelations of new GERB ministers, who have struck exclusive real estate property continue to emerge, most recently the Minister of Tourism, Nikolina Angelkova. And by all indications, names and dealings have only begun to pile in what will prove to be a long and explicit story of how GERB actually governs. President Roumen Radev announced he no longer has confidence in the head of the Anticorruption Commission, Plamen Georgiev, after the latter was involved in the cheap apartments scandal, popularly called ApartmentGate. The president said this is the reason he had requested that Plamen Georgiev’s deputy, Anton Slavchev, present to the president the regular report about the fight against high-level corruption in the country as early as Wednesday, before Plamen Georgiev announced he would be taking a leave of absence. The reports by the commission are usually presented to the president by the head of the commission, Plamen Georgiev. “I’ve always said that if we wish to have rule of law, a functioning democracy, we have to fight corruption in the highest ranks of power. 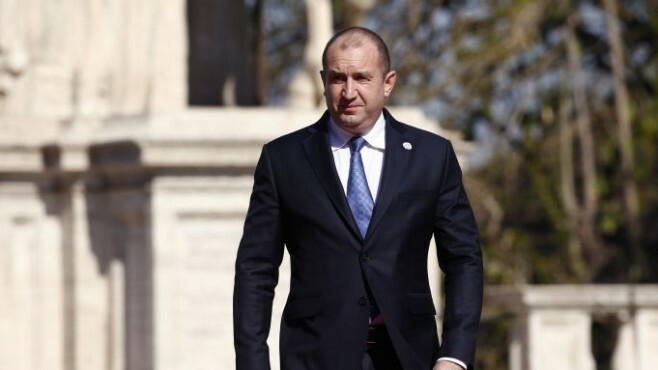 I think that it should be so until an investigation establishes the truth, it is only natural that [Plamen Georgiev] steps aside.” Roumen Radev said on Thursday. According to Mediapool sources, the reason for Georgiev stepping down was this position as expressed by the president, and that is was the fact that the president called for Georgiev’s deputy what led Georgiev, Borissov and Chief Prosecutor Sotir Tsatsarov to meet early Thursday and decided on these steps. According to sources, they also agreed to a plan to divert the attention from their real estate dealings to Tsatsarov’s deputy, Borislav Sarafov and the wife of the head of the Supreme Court of Cassations, Lozan Panov. The goal was not to let the president be seen as a fighter against corruption but that instead, the relevant institutions are taking appropriate action. Meanwhile, the largest parliamentary opposition, the Bulgarian Socialist Party announced it will table a motion to remove Georgiev from office. BSP also calls for the removal of Anton Slavchev, however. The investigative news site Bivol.bg reported that Slavchev also declared a false value of his apartment in his tax returns. Danail Kirilov, the current chair of the parliamentary justice committee will head the Ministry of Justice, after the position was vacant by Tsetska Tsacheva, amid the cheap apartments scandal. PM Boyko Borissov told the media that the first task Kirilov will undertake is to reform the Anticorruption Act so it will be perfect for the Cooperation and Verification Mechanism. The largest parliamentary opposition, the Bulgarian Socialist Party, which is boycotting Parliament, said the nomination is scandalous and that it borders a “provocation of public opinion and the law community”, citing problems during his charge of the parliamentary justice committee. The parties making up the far-right nationalist group, which is GERB’s coalition partner, said they were happy with the choice, but some expressed concern about the future of the justice parliamentary committee. Indeed, as GERB have also admitted, the ruling party suffers from a shortage of law professionals among its MPs.